Dan the Man, is from Ybor City. The historic district of Tampa. He lives in Brandon, Florida, with his beautiful wife of 35 years and their meow fur children. All of their other children have lovely families and exciting careers. Dan’s life achievements; teamster executive leader with a positive, winning image, and a quality control technician for the number one beer company in the world. He earned a Bachelor of Science in Business Management and a Master of Arts in Organizational Management from the University of Phoenix. 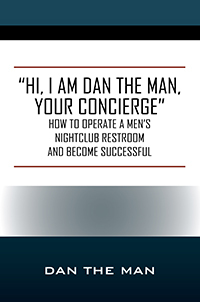 This delightfully humorous book provides a serious education about the reality of working a men’s nightclub restroom in the hospitality industry-a fun part-time job with the potential for an amazing income-but only for those with the exuberance of a positive, winning mind-set! 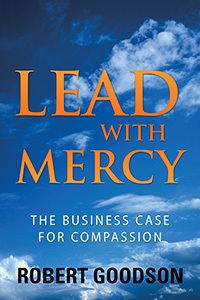 While researching this book, the author visited 40 nightclubs to observe restroom attendants and found there were only a handful of concierges who were both pleasant and professional-those with a friendly smile and a firm handshake, a great sense of humor, excellent communication skills, and a compassionate heart. Professional concierges take pride in their work, and Dan the Man shows how it’s done. 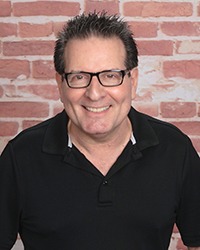 With raw, slice-of-life conversations emphasizing the fun and humorous side of this business, Hi, I Am Dan the Man, Your Concierge contains tips and wisdom that can be applied to all customer service and hospitality careers! 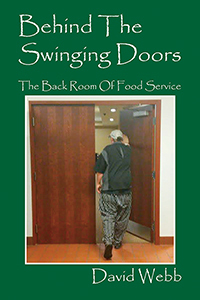 About the author: Fifty years ago, I began my food service career with no intention of staying in it. I needed money to buy my first car. After a few different jobs I was asked to begin cooking. I found I enjoyed it and the social trappings that went with it. I was trained by skilled chefs and good managers yet never went to culinary school. I have talked people into hiring me for nearly a half century and have never once been fired from a job although I have had many. I still cook for a living and still enjoy going to work. I’d say my career path was a good one. Robert Goodson is a Distinguished Military Graduate from the Virginia Tech Army ROTC program, an alumnus of the Corps of Cadets, and holds a bachelor’s degree from Virginia Tech in political science and foreign languages (German). He holds a master’s degree with honors in diplomacy, with a concentration in international conflict resolution, from Norwich University. He is also a certified executive coach. Rob has spent more than twenty years studying and practicing leadership, in the military and in private industry. He partners with rising and experienced leaders on their journey in leadership. He lives in Virginia with his wife and three children. Dr. Nathan Grills is a Public Health Physician at the Nossal Institute of Global Health (University of Melbourne) and is working in disability and chronic disease prevention in India. Nathan completed an MSc Global Health Sciences and then PhD in Public Health at Oxford University where he explored the role of faith in the response of Faith-based groups to HIV. David E. Lewis is the William R. Kenan, Jr. Professor of Political Science at Vanderbilt University where he researches and teaches on the American presidency, executive branch politics and public administration. David and his family attend the Village Chapel in historic Hillsboro Village in Nashville, Tennessee. S. Joshua Swamidass, MD PHD is assistant professor of Immunology and Pathology, Laboratory and Genomic Medicine Division, at Washington University, St. Louis. He is both a Christian and a Scientist. Dr. Swamidass often speaks to student groups about integrating our faith and vocation, finding God’s calling for our careers, how Christianity and Science are compatible, and ways of understanding Genesis and Evolution. What does it mean to be a Christian in your work? 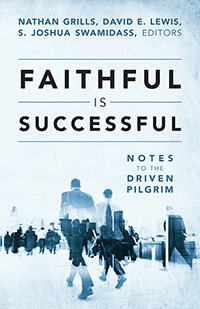 In this book authors working in fields from the arts to finance and the academy offer practical advice to Christians about what it means to live a life of robust faith and work. Authors address a number of key questions: How do they understand what it means to be a Christian in their profession? What difference does it make? What kinds problems have they encountered? Their answers are surprising in their creativity and insight. They are also honest, based upon the authors’ imperfect and tentative attempts to follow Christ in professions were there are few Christians. Those who want to learn how to integrate Christ fully into their careers or who are looking for evidence of God’s redemptive work in the academy, culture, business, and government will be greatly encouraged and challenged by this book. Introducing Charles Cranston Jett, author of The Doom Loop! Charles Cranston Jett is a graduate of the US Naval Academy and served in the US Navy nuclear submarine force. After completing his naval service, he received an MBA degree from Harvard University and entered the business world in management consulting. During that time he was a regular invited speaker at the nation’s top business schools (Harvard, Stanford, Wharton, Chicago, Northwestern, Michigan, etc.) speaking on the subject of career management and skill development. 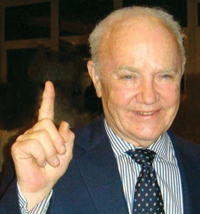 In the early 1990’s, he formed his own business focusing on skill development and created a highly successful work-based learning management system called Coop2000©. 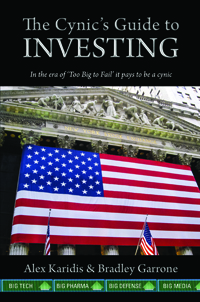 He is a dynamic speaker and published writer, authoring “Whatever Happened to Corporate Loyalty” and “Critical Skills and the CEO” for Chief Executive Magazine. He has been an invited presenter to national conventions of the American Psychological Association on the subject of skill development and The Doom Loop. 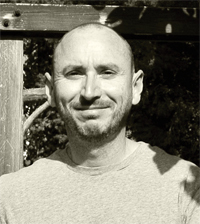 He has two successful blogs on the subject of critical skills and the Doom Loop: http://criticalskillsblog.com and http://thedoomloopblog.com. 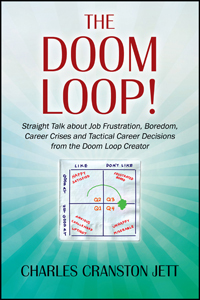 The Doom Loop is an elegant, intuitive, and simple career management tool designed to help you make smart, tactical career decisions and to help see you through the seven common crises that nearly everyone faces in their career. It can also help employers take appropriate actions to improve the productivity of their emplt2oyees by understanding the nature and causes of boredom. Created by the author in the 1970s, the Doom Loop is a 2×2 matrix to help you anticipate and solve problems related to boredom and frustration on the job. This deceptively simple tool can help you avoid making ill-advised job change decisions, and it can quickly give you confidence that a new opportunity will be the right one for you. You don’t need to attend seminars or workshops to use this career management tool. The Doom Loop is straightforward and easy to use, yet powerful in its guidance-and it might just become the best friend you ever had on the job! Paul Bedell spent six years working for multiple wireless carriers, and has been in the telecom industry for 26 years. Bedell also created and teaches two graduate-level cellular courses at DePaul University in Chicago, where he also obtained his M.S. in Network Engineering and Management (Honors). 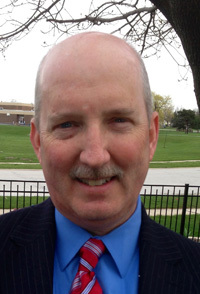 Paul lives with his wife Paula and three sons in Tinley Park, IL. Get comprehensive insight on the inner workings of modern cellular networks. Most books on cellular technology focus on singular topics. Cellular Networks: Design and Operation focuses on all elements of cellular networks, everything from cellular network design, to towers, to the basics of LTE (4G). Cellular Networks: Design and Operation uses minimal jargon to provide straightforward explanations of all facets of cellular networks. Learn the fundamentals of all network elements and technologies that are required to run cellular networks. 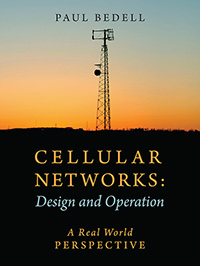 Topics covered in this book include: • Cellular radio development • The cell base station • Basic cellular network design and operation • Radio Frequency (RF) operation and technologies • Antennas, RF power and sectorization • Distributed Antenna Systems (DAS) • Base station elements and RF signal flow • 2G and 3G digital wireless technologies • Microwave radio systems • 4G and Long Term Evolution (LTE) • The backhaul network • The MTSO and core network • Personal Communication Services (PCS) and the current marketplace • Towers • Capacity management and propagation models • Interconnection to the landline public switched telephone network (PSTN) • Roaming and intercarrier networking • Mobile data technologies • The business side of wireless • Mobile applications. Examples, photos and illustrations from the field are included in this practical guide.